Tuscany conjures up images of lush rolling hills, world-class wineries, and some of the most celebrated cycling in Europe. But it comes at a cost. After a few days relaxing outside of Florence and enjoying the comforts of home-cooked meals we embarked on the final portion of our cycling tour. Our route would take us from Florence through Siena to Chiusi, a distance of only about 125km, but some of the most challenging cycling of the trip. Historic hill top towns dot the countryside, beckoning visitors to explore their cobblestone streets. 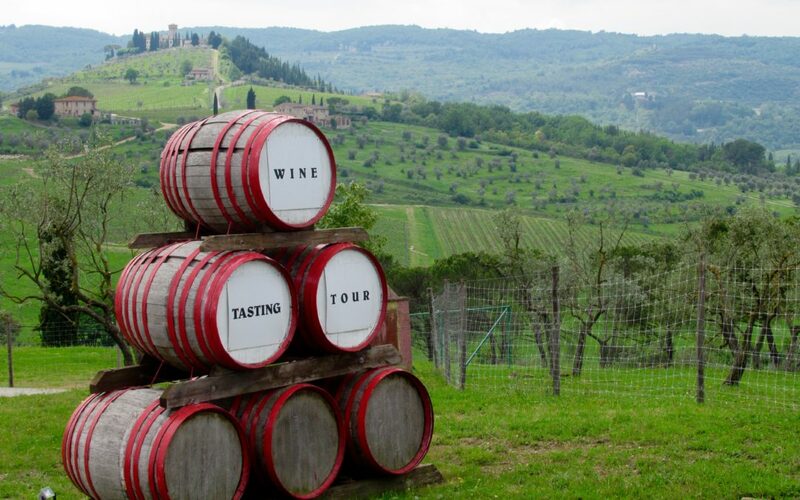 Greve in Chianti, Panzano, Castellina in Chianti, San Quirico d’Orcia, and Montepulciano were some of the highlights. Dozens more tempt cyclists with the time and inclination to venture further afield. Those instagram worthy Tuscan fields sure look nice, but the roads climb and fall relentlessly, making it a slog on fully loaded touring bikes. Moving at a snails pace, we received no shortage of thumbs up from Italians on their speedy road bikes. We were envious. But at least we had no need to carry food with us – Tuscany is the gastronomic land of plenty. Restaurants, cafes and gellaterias vie for your Euros, tempting hungry cyclists with their savoury delights. We bit. Fresh pasta in pecorino cheese and pepper sauce, homemade gelato, locally made wine and hearty porchetta sandwiches were hard to pass up. Everything was delicious, but pricey compared to the Balkans. After struggling at times to get enough calories, Tuscany presented the opposite problem. A few days were enough to get a taste of the region and fill our bellies. The sheer number of restaurants and hotels to choose from in Tuscany is overwhelming. The freedom of choice can be alluring, but it can also be a time consuming and difficult process in making the right decision. If you’ve ever debated between places on a hungry stomach and weary from a long day, you’ll know where the term “hangry” comes from. That’s why we include all accommodations and meals in our fully supported “West Koot Loop” tour of the Kootenays, while still providing guests with enough time to explore the area or just relax and enjoy the views. We work with local producers and businesses to give you an authentic taste of the Kootenays. And with all tours led by the owner-operator, we provide the kind of personal service and local knowledge to give guests a memorable experience. After a month cycling in the Balkans, Tuscany was the final leg on our spring cycling tour. We’re excited to switch gears and get ready for a busy summer season in our little corner of paradise in British Columbia. 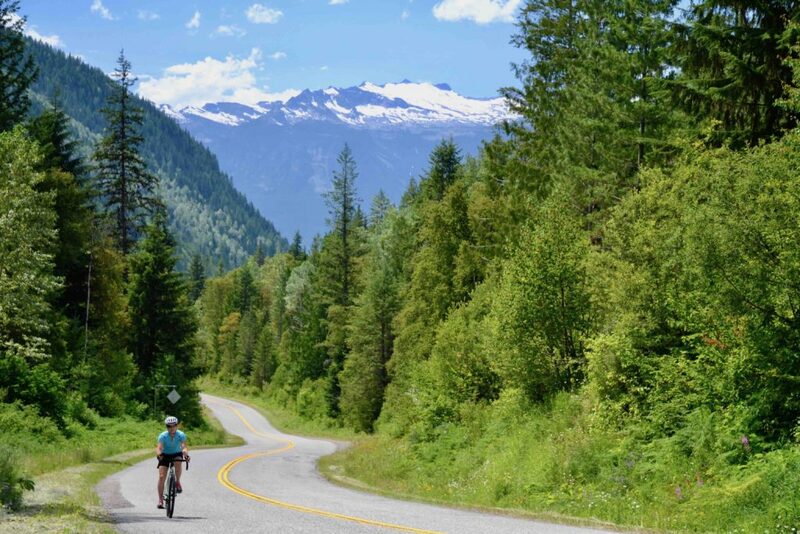 With quiet winding roads, stunning mountain and lake views, charming small towns and locally crafted food and drink, Nelson and the Kootenays are a magical place to cycle. We invite you to experience it for yourself!